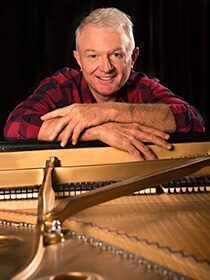 Neil Rutman has distinguished himself as a top prize winner in several international competitions including the Busoni, Kapell, Casadesus, Joanna Hodges, Concert Artist Guild, and International Johann Sebastian Bach Competition. Mr. Rutman has received awards from the National Endowment for the Arts and for Artistic Excellence from the Astral Foundation. He has appeared in Carnegie Hall, Alice Tully Hall, Queen Elizabeth Hall, Tokyo’s Bunka Kaikan and the Schola Cantorum in Paris with concert tours of the United Kingdom, Europe, New Zealand, Japan, and the Persian Gulf. Recordings include two Mozart Piano Concerti, an all Poulenc CD, with Emmy Award-winning actor Tony Randall providing the narration in ‘The Story of Babar the Little Elephant’, and his 2008 all Chopin release on the Pro Musica label. Mr. Rutman has recently authored articles for the Piano Quarterly, The Piano Teacher, an interview with Aiko Onishi in Clavier, and is a contributing author to the book ‘Piano Masterpieces’ published by Oxford University Press. During the summer of 2011, Dr. Rutman was invited to give the closing concert at the World Conference of the European Piano Teachers Association Conference in Serbia. A native of California and graduate of the Eastman School and Peabody Conservatory, Neil Rutman is Artist-in-Residence at the University of Central Arkansas. Since 2005 his students have won top prizes in the Kappell International Competition, the East-West Artist Auditions in New York City, and the Clara Wells Competition, the Memphis Beethoven Club, and the Tulsa National Rotary Competition. Dr. Rutman teaches classes on Tone Production each summer in San Francisco. A former collegiate boxer, Dr. Rutman also coaches the University of Central Arkansas Boxing Team and is a volunteer Probation Officer for juvenile offenders in Faulkner County. For more information about Mr. Rutman, view his DVD’s on YouTube or visit www.neilrutman.net.